The American Heart Association will soon switch from paper cards to AHA eCards for all certifications moving forward. Here’s what you need to know about the upcoming switch. 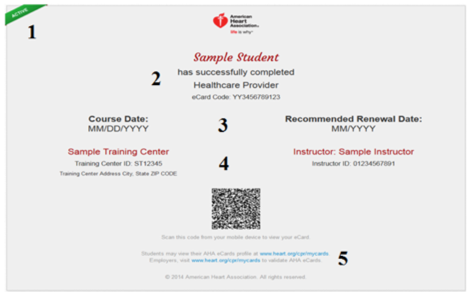 According to the AHA: An AHA eCard is the electronic equivalent of a printed AHA course completion card. This is the new certification cards that are issued to those who successfully pass a CPR/AED/First Aid or BLS/ACLS/PALS class. eCards are valid course completion cards and can be presented to employers as proof of successful completion of an AHA course. eCards are available only for provider-level courses in the United States. Paper cards are no longer available. Why Use an AHA eCard? eCards are more secure than printed cards. A three-point verification by the Training Center Coordinator (TCC), Instructor and the student, is required to issue and claim eCards. eCard information is populated electronically by the TCC or Instructor and can only be altered by the TCC or AHA Customer Service by using AHA’s My CardsTM. eCards can be easily verified by employers at www.heart.org/cpr/mycards to prove issuance by a valid TC and Instructor aligned with that TC. How Do I Use an AHA eCard? 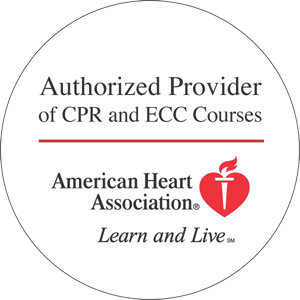 As soon as you complete an American Heart Association course through HeartCert CPR, your card will be processed. Cards are processed weekly and you’ll receive a notification via the email address you provided during your course. Please note that participants will receive an email from the AHA after class and must click on the link in the email to claim their card. This is the student’s responsibility as no one else is able to claim or access the card prior to this step. eCard status. Green means it’s active, yellow means the card has expired. Participant name, course name and eCard code. The eCard code is used to validate the participant’s card (i.e. for employment, etc.). It is unique to each person. Course date and recommended renewal date. Renewal date is always 2 years out, the last day of the month. Training center and instructor information. My Cards website. Where participants can view/print their eCard and employers validate eCards. If you have any questions on your AHA eCard, please contact us. All American Heart Association Training Centers are switching to E-cards and paper cards will no longer be available.